The Referendum for Natural Remedies petition – a campaign which aims to guarantee free access to scientifically based natural health remedies for all European Union (‘Brussels EU’) citizens – has now been signed by over a quarter of a million people. Coordinated by the Dr. Rath Health Foundation under the banner of the European Referendum Initiative, the petition’s signees come from all 27 Brussels EU member states. However, despite the impressive and growing public support for this campaign, the Dr. Rath Health Foundation is fully aware that the Brussels EU has no intention of listening to the demands of European citizens. Operating outside the basic principles of freedom and democracy, the Brussels EU – by definition – is a dictatorship. Neither the 27 ‘Commissars’ making up the European Commission – the executive level of the Brussels EU – nor even the Brussels EU President, Herman van Rompuy, have been elected by the people. Instead, the power of the people to determine their government has effectively been transferred to corporate interests. The Brussels EU premises and buildings are “exempt from search”. (Chapter I, article 1). Members of the European Commission and other Brussels EU officials are “immune from legal proceedings in respect of acts performed by them in their official capacity, including their words spoken or written.” Moreover, they “continue to enjoy this immunity after they have ceased to hold office.” (Chapter V, article 11; Chapter VII, article 19). In light of these facts, no one should be in any doubt over the fact that it is not possible to reform the Brussels EU. With not a single one of its executive level politicians having been elected by the people, and all of its officials being above the law, it is an illusion to think that this construct would ever listen to the people or act in their interests. 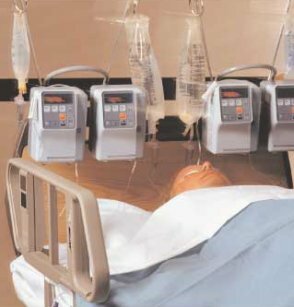 Now, at a time when – based on dramatic advances in science-based natural health – the lives of millions of people suffering from cancer, heart disease and other common health conditions could be saved, the Cartel is, once again, placing profits over life and becoming responsible for human suffering and death in genocidal proportions. 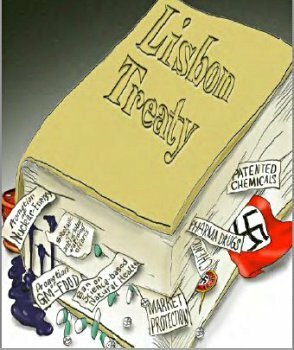 The key goal of the Brussels EU is to destroy the natural health sector so as to prevent non-patentable natural therapies from competing with the global pharmaceutical industry – the Pharma Cartel – and its multi-trillion dollar ‘Business with Disease’. Essentially serving as the unelected political stakeholders of these multinational pharmaceutical interests, the executive level of the Brussels EU specifically crafts the laws of Europe on their behalf. The purpose of the so-called “Food Supplements Directive,” for example, passed in 2002, is to set stringent and dictatorial restrictions on the types and doses of vitamins and minerals that can be contained in nutritional supplements. To disguise this threat, the Brussels EU disingenuously claims that the permitted levels for each nutrient will be calculated scientifically, via a process called “scientific risk assessment”. In reality, however, the fact is that most of the currently proposed methodologies for assessing the supposed “risk” of consuming supplements are anything but scientific, and are actually deeply flawed. Similarly, the “Traditional Herbal Medicinal Products Directive,” passed in 2004, subjects natural herbal medicines to a prohibitively expensive registration procedure whereby all herbs not specifically granted a license are banned and removed from the market. By decimating the herbal sector in this way, the Brussels EU aims to eliminate a key threat to the financial interests of its multi-trillion dollar pharmaceutical stakeholders. Furthermore, in an attempt to curtail even the spreading of information about natural health therapies, the Brussels EU passed a so-called “Regulation on Nutrition and Health Claims” in 2006. Under this highly draconian legislation, all suggestions or implications that a food or nutrient has specific beneficial nutritional properties, or that a relationship exists between a food/nutrient and health, are banned unless specifically authorized by the European Commission – even if scientific evidence for such claims exists. Thus, in its desperation to protect the pharmaceutical industry’s multi-trillion dollar “Business with Disease,” the Brussels EU has resorted to enacting the distinctive hallmark of all political dictatorships – a prohibition on freedom of speech. To aid the Brussels EU in these attempts to destroy the natural health sector, the European Food Safety Authority (EFSA) was set up in January 2002. Rather than improving food safety and protecting consumers, as it claims to be doing, EFSA is engaged in an ongoing and systematic effort to eliminate non-patentable natural health therapies, and information about them, across the entire European continent. Behind the scenes, EFSA’s scientific panels play key roles in these efforts. Rather than being composed of independent experts, EFSA knowingly permits the members of its scientific committees to have links to pharmaceutical, chemical, biotech and agribusiness companies. Moreover, in a blatant attempt to protect these corporate interests, EFSA even claims on its website that “having an interest does not necessarily mean having a conflict of interest.” In view of this, it is perhaps hardly unsurprising that despite over 44,000 basic ‘general function’ health claims having being submitted for approval by EFSA under the aforesaid “Regulation on Nutrition and Health Claims,” the overwhelming majority have been rejected. Awareness of these facts should serve to end, once and for all, the illusion that heartfelt appeals for the Brussels EU to “Save our Supplements” and protect our right to natural health will ever have any effect – that is, apart from perhaps resulting in ironic grins on the faces of the ‘EU Commissars’ and other stakeholders of the Drug Cartel. In place of this illusion, the following devastating consequences of the Cartel’s rule over the ‘Brussels EU’ should be understood by all: Now, at a time when – based on dramatic advances in science-based natural health – the lives of millions of people suffering from cancer, heart disease and other common health conditions could be saved, the Cartel is, once again, placing profits over life and becoming responsible for human suffering and death in genocidal proportions. If the people of Europe want to avoid repeating the mistakes of the past – and paying for them yet again with the lives of millions – it is high time to create a broader public awareness regarding the criminal history of the Drug Cartel. 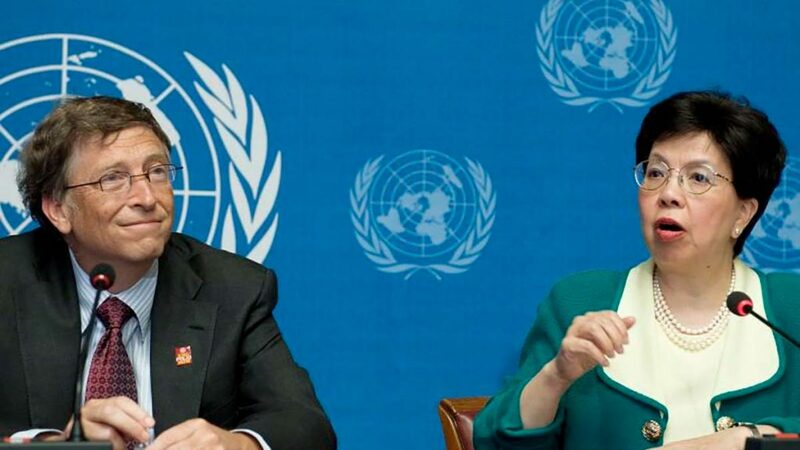 Three quarters of a century ago, the largest Chemical and Drug Cartel at that time – IG Farben, composed of Bayer, BASF, Hoechst and other multinationals – financed the rise of another dictatorship, the Nazi regime in Germany. Then and now, the Cartel’s goal is the same: the conquest and control of Europe and the world by all means possible – political, economic and military. The primary goal of the Dr. Rath Health Foundation is to establish a new global healthcare system based on scientific breakthroughs in the areas of vitamin research and cellular health. Once this goal is achieved, the stage will be set for cardiovascular disease, cancer, AIDS and other common diseases to become largely unknown to future generations. 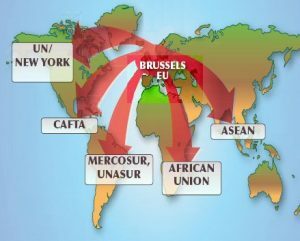 However, the Pharma Cartel currently stands in the way of this goal and is even intending to export the Brussels EU blueprint worldwide as a means of expanding its control over other continents. A key partner in the Cartel’s international attempts to limit people’s access to natural therapies is the so-called Codex Alimentarius Commission (Codex), a United Nations (UN) organization that receives its funding from the UN’s World Health Organization (WHO) and Food and Agriculture Organization (FAO). Established in 1963, the main activities of Codex centre around the drafting of global standards for all food products, including food supplements. Working as a coordinated bloc, the 27 Brussels EU member countries are increasingly using Codex as a vehicle for shaping global food and supplement regulations to reflect Brussels EU law. By bringing about the implementation of Codex restrictions on food supplements in regions such as South East Asia, through the Association of Southeast Asian Nations (ASEAN); Africa, through the African Union; South America, through Mercosur and the Union of South American Nations; and North America, through the proposed North American Union, the Pharma Cartel is aiming to turn the lives and bodies of billions of people into a marketplace for its patented synthetic drugs. The ‘Brussels EU’ is a dictatorial structure serving global corporate interests that are – once again – threatening the lives of hundreds of millions of people across Europe. Moreover, unless European citizens act now, this structure will remain in place for generations to come and will subjugate the entire world under its control. 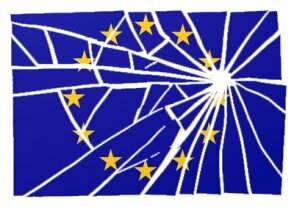 Due to its fundamentally undemocratic structure – with the EU Commission holding all executive power and the EU Parliament serving merely as a fig leaf – the construct of the ‘Brussels EU’ is not reformable. 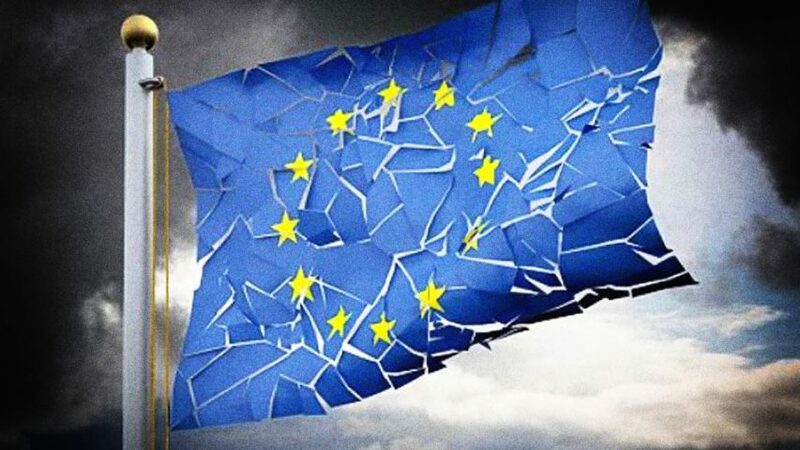 It therefore needs to be publicly rejected by the people, dismantled and eventually replaced by a truly democratic system of representation: a Europe of the people, by the people and for the people. The dismantling of the dictatorial influence of corporate interests that rules over the ‘Brussels EU’ – and thereby over the people of Europe – is a precondition for largely eliminating today’s most common diseases, including cardiovascular diseases and cancer. Through achieving control over these illnesses, the creation – for our children and all future generations – of a healthier world can be achieved. 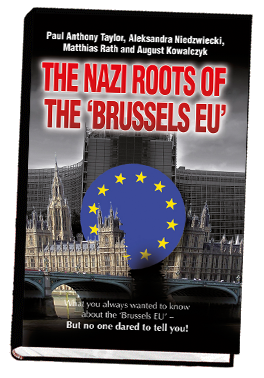 Read the book ‘The Nazi Roots of the Brussels EU’. Disseminate the web link of this important online book to everybody you know. Send them the link to this page as well, to ensure they gain a full appreciation of the facts. Write to politicians, at local, national and European levels, rejecting the Brussels EU and demanding they do everything in their power to bring about its dismantling. Demand that national politicians support the creation of laws enshrining the right to referendums in their countries’ constitutions. The written responses of politicians to this demand will not only show where their loyalties lie but will also demonstrate whether or not they are democratically-motivated. Support the ‘Referendum for Natural Remedies’ petition and bring it to the attention of democratically-motivated politicians, so as to increase pressure on them to protect and promote free, unrestricted access to natural therapies – as an inalienable right in a new and democratic Europe. By taking the above actions, not only will European citizens be protecting their own natural health freedom, they will be helping to prevent the Cartel from achieving its goal of exporting the Brussels EU blueprint worldwide. We invite all European citizens who receive written responses from politicians to send them to us at this email address: info@dr-rath-foundation.org With your permission, we will publish their responses on our website with your personal details removed. The publication of these letters will make it abundantly clear to everyone which European politicians are democratically-motivated and which, either wittingly or unwittingly, are tools of the Pharma Cartel. Ultimately, global natural health freedom can only be secured via our publicizing, as widely as possible, those politicians who are tools of corporate interests. By aiding in their removal from office and replacing them with politicians who are truly democratically-motivated, European citizens will be performing an invaluable service for all mankind.